Transitional Living And Transitional Care: Why Should You Consider It? Making the transition from denial about a drug and alcohol problem into acceptance was a tough one to make for your loved one. The first few days, or even weeks, of treatment might have been especially challenging. Transitioning into a new life of treatment where there is a daily schedule, therapy, discussing emotions, being disciplined in routine, and most importantly,living without drugs and alcohol, is not always seamless. After the bumps in the road started smoothing out and your loved one finally settled into treatment it is time to graduate and move on with life. Research is proving increasingly that long-term treatment and/or care is better for long-term abstinence and long-term success in recovery. 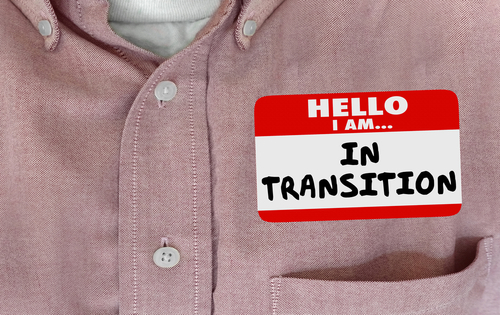 Transitioning through lower levels of care like partial hospitalization, intensive outpatient, and outpatient programs isn’t always an option for some individuals after their inpatient treatment experience. Many people move into a sober living environment, which offers a minimal amount of structure. Required to stay abstinent from drugs and alcohol, your loved one will be regularly tested through urinalysis and breathalyzer. Most sober living homes require a minimal amount of attendance to twelve step meetings each week and have a weekly house meeting. Residents in a sober living are often going to school, getting a job and going to work, or attending lower levels of care like the ones listed above. Transitional care is an in between option before sober living. After inpatient transitional care could look like a lower level of care that extends for a few months. Often, transitional care is like a sober living home, with a little more structure and more support. Vocational coaching, resume building, developing interviewing skills, help with grocery budgeting and shopping, and the little parts of everyday life are part of transitional care. A treatment facility will still provide transportation to lower levels of care for those who are in them, like outpatient. There is a curfew, regular testing, and regular staff, though with less accountability. Before moving into a more independent state in sober living, transitional living and transitional care makes the jump from fully structured inpatient treatment to independence a little less daunting. 30, 60, 90 days of high level treatment will create an immense amount of positive changes, but it is still a relatively short amount of time compared to the many years of living in the habits of active drug use. Transitional living and transitional care is another period of time which is outside the daily regimen of treatment to build the confidence and self-efficacy needed to thrive independently in recovery.